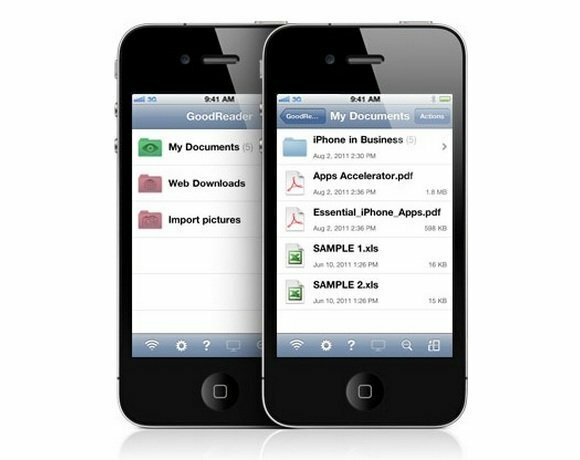 GoodReader handles PDF and TXT files, manuals, large books, magazines, and renderings of 100 mb and more with great speed. The ability to mark-up PDFs opens up new doors to GoodReader users who can now use typewriter text boxes, sticky notes, lines, arrows, and freehand drawings on top of a PDF file. Keynote is really good for features and specifications and also very easy to use and we can use this apps for our business and personal Purpose. What's a better way to look after your business than having the access right from your mobile phone? You can even gain access to financial, supply chain, and CRM analytics as they happen with the business indicators app! Apps have truly evolved, and even a business has become easier with these. Good reader is a nice business apps for iphone which handles PDF,TXT files and other text based files but others more apps also available for business in iphone store which better than it. Many iphone apps make business work easy and time saving.